Wolfgang A. Kossuth (1947-2009) was born in Pfronten, Germany. Kossuth moved to Naples in 1968 to study violin, and won an international competition for a chair as violinist at Milan's Teatro alla Scala. He was a member of the orchestra from 1970 to 1974, while also studying composition and orchestra conducting, and began conducting in 1975. 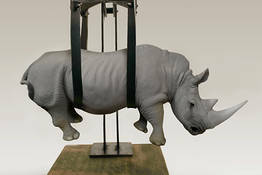 In 1979, he left music to devote himself to sculpture. In 1981, he completed a portrait of Mario Del Monaco for the Museum of La Scala, and in the following years created a bust of Domenico Scarlatti for the Auditorium RAI in Naples (1986), "Simona" for the Museum Paaw Wassenaar in Holland (1992), and a portrait of the poet Vittorio Sereni for the Museum of Luino (1993). His large sculpture dedicated to Niccolò Paganini is on display in Genoa's Teatro Carlo Felice. 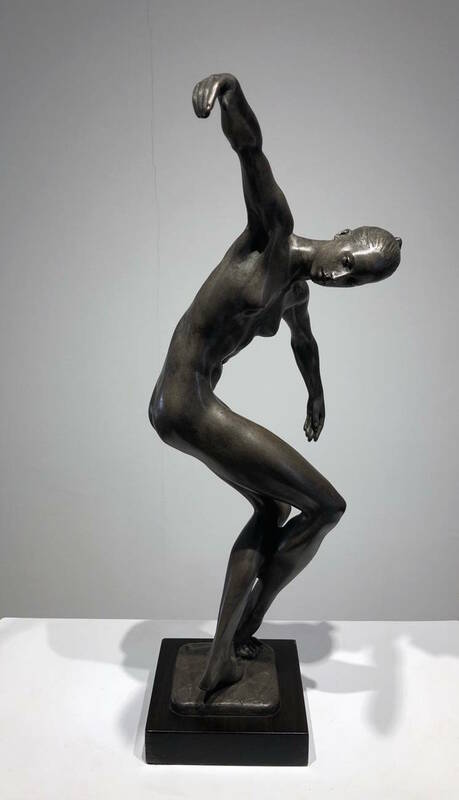 In addition, his "Salome In Love" was acquired by the Museum of Busto Arsizio Bandera in 1997, in 1999 his piece "Maternity" becomes the symbol of the Republic of San Marino UNICEF, and in 2003 he received an award from Carcano Theater in recognition of his artwork devoted to the art of dance. In January of 2004, he was awarded by the President of the Republic during the exhibition "The Flight of Icarus Today". 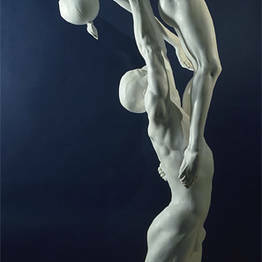 Kossuth's work is both contemporary and timeless, with clear references to classic Hellenistic or Roman sculpture in its symbolism and mythology. 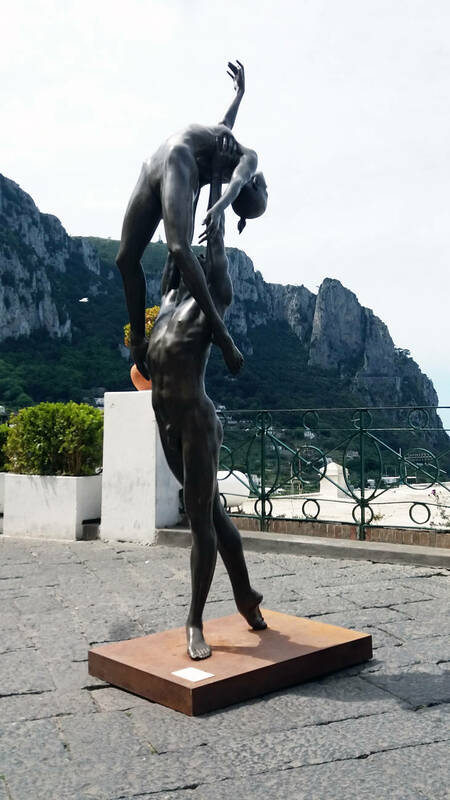 His figures were rendered with emotional muscle tension, and subjects like "Daniel" and "Summer" show an elasticity that defies the anatomy of the body human to highlight the sophistication of a dance movement, the intensity of a hug, or a precarious pose. 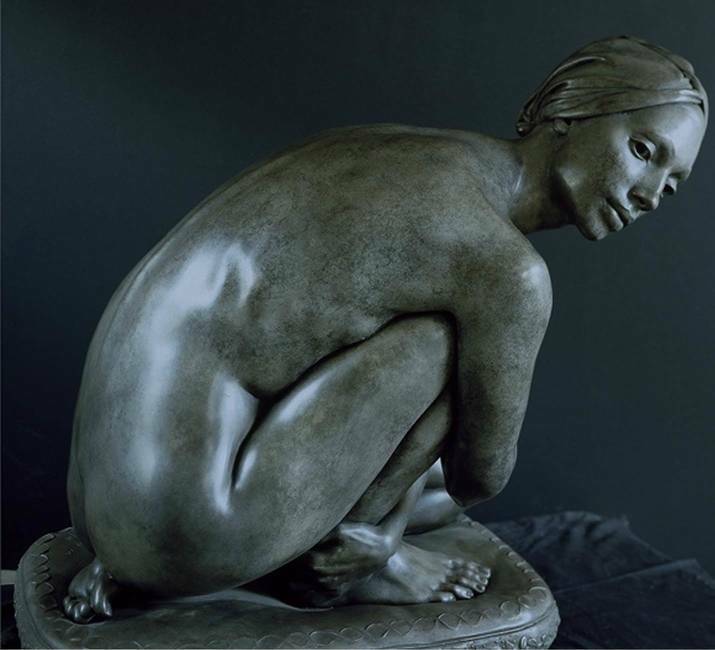 Instead of photographic realism, Kossuth challenge the limits of sculptural skill by concentrating on the richness of detail, the smooth sheen of the surface, and the refined definition of a working muscle. Sculpture was not an exercise in style for Kossuth, but a language to communicate. 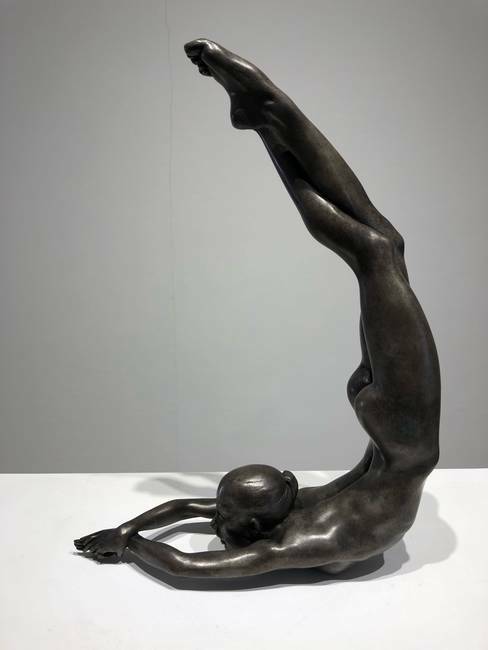 More than simple forms, his works are surreal investigations into the limits of the human body, and the otherwordly beauty that goes deeper than the surface when his subjects were celebrities. Thus, portraits of Roberto Bolle and Alessandra Ferri are more than simple tributes, but pretexts for a reflection on the human body and the harmony of its movements. This analysis becomes particularly introspective when Kossuth depicts the human face. His bronze of Mario Soldati goes beyond what a photo could reveal, and his use of leaving fragments of the clay which was used to make wax mold is an artistic choice to communicate the blend of refinement and elegance, or lightness and balance, the lost wax casting technique lends to the final bronze sculpture. 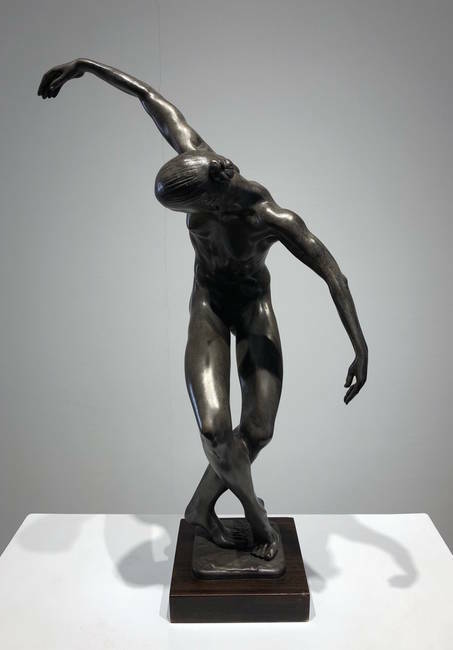 The plasticity of bronze, which allows the artist to mold the warm surface and smooth it into different gradations of sheen, makes this material uniquely suited to communicate the complexity of movement. 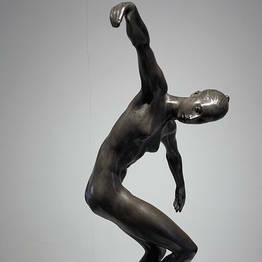 The dark patina of the metal allows the artist to render muscular tension and facial expression with the use of light. Kossuth was particularly masterful in forming the softness and elasticity of skin and muscle, and his lifelong research into the uses of bronze led him to push the material beyond its previous limits. Exibition "Kossuth, sculture e dipinti" Sala di SS.Filippo e Giacomo sotto il patrocinio del comune di Brescia. Exibition "Forma e spirito nella scultura contemporanea in Italia" villa Firenze Ambasciata Italiana in Washington seconda sede Meridian international centre, Washington. Exhibition in the "Banca Commercio ed industria" Milan. Exhibition in the "Banca Popolare of Milan" Bergamo. Exhibition in street Montenapoleone, Milan "Le forme del FuocoVenturi Arte." Exhibition, "From the Body to the Face", Pietrasanta. 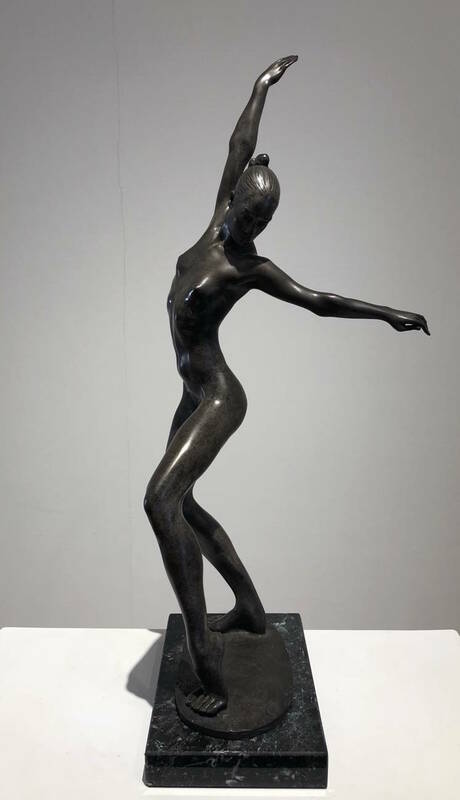 Exhibition dedicated to the dance in Rieti during the Intenational Week of Ballet. Exhibition of the work "Salomé" at the Museum of Arts, Palazzo Bandera, Busto Arsizio. Acquisition from the Museum. Exhibition, Manzù, Messina, Kossuth, in Santa Maria Maggiore. Exhibition at the Museum of Arts Palazzo Bandera, Busto Arsizio. Unveiling of the work "Paganini" in the theatre Carlo Felice in Genoa, organized by the municipality and exhibition at the "Loggia della Mercanzia". Exhibition,in Mantova, in the Palazzo Ducale, sponsored by the Municipality and with the supervision of the Monuments and Fine Arts Service of Mantova, Cremona, Brescia. Exhibition, Orvieto, sponsored by the municipality and the Province. 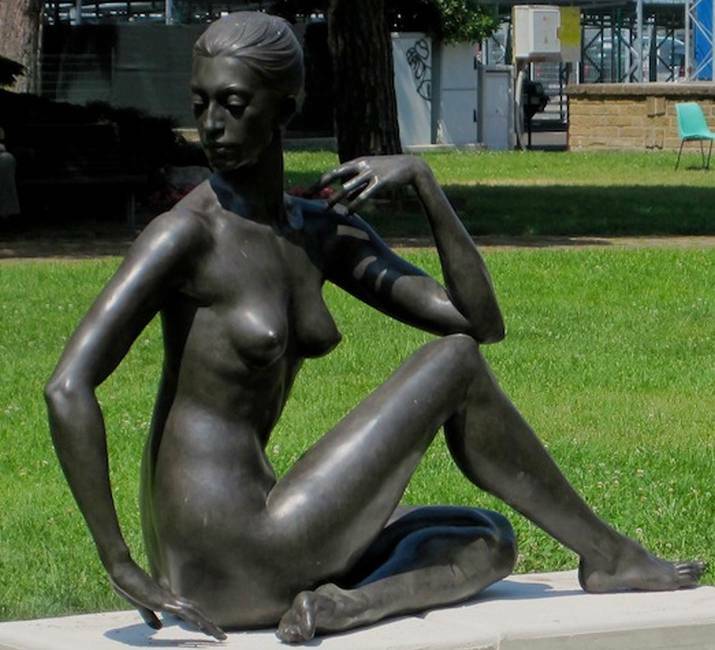 Exhibition "Bronze Faces", Modena introduced by the reviewer Vittorio Sgarbi. Exhibition at the Museum of Milan sponsored by the municipality, introduced by the reviewer Vittorio Sgarbi. Exhibition, Città della Pieve, sponsored by the municipality. Exhibition of The work "Mozart" in the Teatro alla Scala for the bicentennial celebration of Mozart's death. Portrait of Paolo Grassi for the municipality of Martina Franca. Exhibition,Ostuni sponsored by the municipality. Exhibition, Spoleto during the "Festival dei due mondi". Exhibition in the cloister of San Domenico, Martina Franca, sponsored by the municipality. EXPO of international Art, Bari. Bust of Domenico Scarlatti exhibited in the RAI Auditorium of Naples. 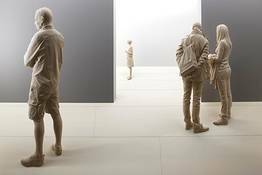 Exhibition at the Museum of European Sculptures Sculpturenpark-Willebadessen, Germany. Sponsored by the head of Government. Portrait of the tenor Mario Del Monaco which is exhibited in the museum of the Teatro alla Scala in Milan.